Joni Harms is as warm as her voice. She’s more likely to hug you than to shake your hand, and her music and the stories she sings will reach inside your heart. Joni’s days playing to larger audiences began when she won the Future Farmers of America (FFA) Talent Contest in Oregon and then the Nationals in Kansas City. 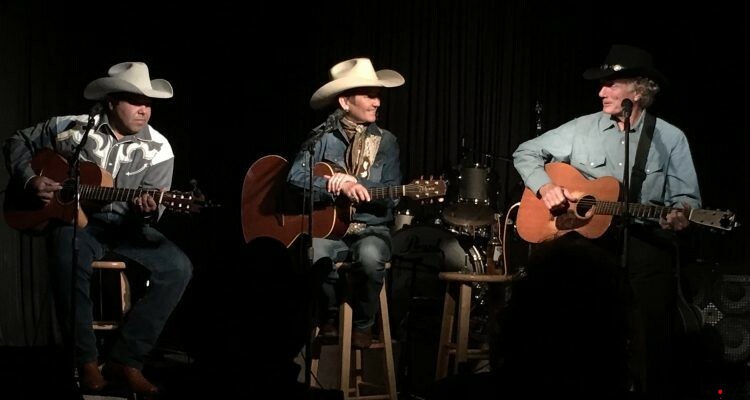 “I met three guys with a band, then a steel player joined us, so the five of us played to about 10,000 FFA kids from all over the U.S. and got a standing ovation. My knees were so weak, but I thought then that was what I had to do. Harms was also a rodeo queen with six different titles, including Miss Northwest and runner-up for Miss Rodeo America. “I represented the rodeos, sang, traveled and rode in the Grand Entry to welcome everyone at many rodeos across America. It’s just about being with people and knowing how to communicate—and singing ‘The National Anthem.’ Many of the people I met during that time are still true-blue friends and fans,” she smiles. What’s her favorite song in the 13 albums of songs she’s written and recorded? Asked about her favorite venues, Joni responds, “I’ve been lucky to play the Grand Ole Opry, Ryman Auditorium and Carnegie Hall. But I’m just as happy to play the more intimate venues — as long as there is an audience to listen to my music and my stories, that’s all that matters. Joni has had the title “Lucky 13” in her mind for a while. When she recorded her 13th album with 13 songs on it, she knew she had to title it “Lucky 13.” The album title was obviously a good call, because “Lucky 13” came out of the gate and moved right into the reviewers’ winners’ circle. Joni’s early recording career began when famed producer/record company head Jimmy Bowen signed her in the early ‘90s. “That was a dream came true. Byron Gallimore had recorded a demo on me, and MCA flew me to Nashville to meet Jimmy. Two months later, I got a call they would like to sign me. In a family where tradition is so strong, it’s very rewarding for Joni to see her children following family traditions. Olivia is seeking a career in music, writing songs and performing, often joining her mother on her concert tour when she’s not doing her own shows. Joni also is very proud of her son Luke for being the sixth-generation rancher on the land that his great-great-great grandfather homesteaded. That “Century Farm” has housed a lot of music and love of the land in the almost 150 years it has been in the family. If anybody was ever entitled to write stories about the western lifestyle, it is Joni Harms, because she lives it and loves it every day. Michelle Honick is a Nashville-based journalist who has written for numerous music magazines including “American Songwriter” and “Country News.” She is the co-author of “Ghosts, Gamblers and Gangsters of Las Vegas,” and is in the process of writing her first novel. She lives with her black cat, Brady, and in her spare time loves to read and listen to music, especially The Beatles.